Task 2: Explain how to determine areas and volume of cut and fill, using surveying data (Pass). Contours need to determine the level at various points on the ground, and in the same horizontal position of those points should be fixed. Vertical control exercise carried out leveling work, but the level of control exercised chain survey or questionnaire survey compass or aircraft to be. If the theodolite horizontal and vertical control can be achieved from the same instrument. A profile can be classified in different groups based instrument. Contour function that can be used to understand the shape of the land. In addition, the actual pattern of the line will phone you to more detailed understanding of the region. Besides that, contour are divided into two types of methods in surveying which is direct methods and indirect methods. For the direct methods, It is included in the point found within the selected contour line of vertical and horizontal control. Instrument used for vertical control level. A grade level is set to take flight from the commanding heights of the nearby bench mark in the region. Collimation / height of the plane of the instrument was found the staff to be read a contour line is calculated. The staff of the instrument man asked the staff who cultivate the required reading is found up and down movement in the region. Surveyor built using his tools of this level of control. After the people of the instrument directs staff person to read another point in the same person can be found. Second is to establish the level of control. Therefore, a few points are based on a contour of one or two contour lines and proper record. Plane table survey is very suitable for the job. After setting the points needed for the establishment of the instrument from the instrument is moved to another point in order to cover a larger area. Level and investigative tools need not be shifted simultaneously. That is, if two are nearby, so easy to communicate better. Get speed leveling sometimes hand level, Abney level of use. This approach is slow, tedious and inaccurate. It is suitable for small areas. While for the indirect methods, the level of take in some selected points and their reduced levels. Thus, in this method to establish the level of control the first, then find the level of those points. 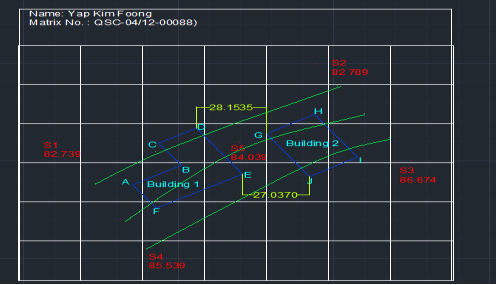 After positioning point plan, the level of decline is inserted between the selection point markers and contour lines. AutoCAD is used in buildings, bridges, and computer chip manufacturing blueprint for a computer-aided drawing software program. AutoCAD is mainly used for drafters, it has occurred although engineers, surveyors and architects may need to use the software. Read on to learn more. 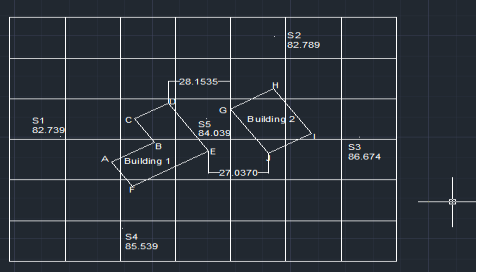 AutoCAD is in the building, construction and manufacturing for the 2-D and 3-D computer-aided drawing software applications assist blueprints and other projects prepared. Who uses AutoCAD professionals often referred to the drafting. Although the drafters in some professional work, six of the most common areas of expertise are mechanical drawing, architectural drafting, civil drafting, electrical drafting, electronic drafting, drafting aviation. Qualified writers in the subject of construction are ready and waiting to help you with your studies. Next step is to draw a triangulated shape by using the lines from S1 to S2 and S5, then S2 to S3 and S5, Then S4 will go to S4 and S5 and S4 will go to S1 and S5. Which is means connect all the point together by using the lines. Therefore we can see the pattern is like that diagram below. Then we highlight the lines for connect to each point, and put it into the Triangulated Ground Model. After that, we click the draws which is under the lines, polyline and circle column. We select the multiple points and click the point from S1 to S4 about two point. Let say from S1 to S4 the two point is 82 and 85, therefore the number in between this two point is 83 and 84. So we will click two point between S 1 and S4 but the distance of the point must be medium of this two point and logical don’t simply click. While S1 to S5 we will click one point. And from S5 to S3 also got one point. And last from the S2 and S3 got 3 point (refer to diagram 7). After we key in the point, the select the polyline and attach the point. While it is divided into 3 lines. The first line is from the upper point which is 83 coordinate, go to the point which is S1 to S5 and go to the upper point which is S2 to S3. While the second lines is start from second point (S1 to S4 there) go to point S5 and last go to second point ( S2 to S3). While the third lines is from S4 to the point between (S5 to S3) and last is go to last third point for S2 and S3. If not clearly, please refer to diagram 2 and it will be understand, what am I mention about. 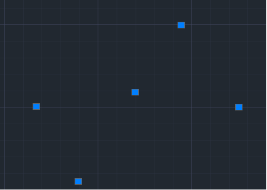 After that, we highlight the first lines and key it PEDIT and select spline. 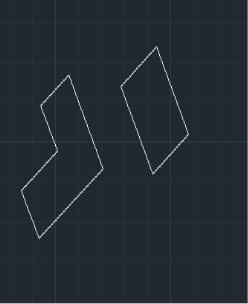 Then the line will be slightly spline. 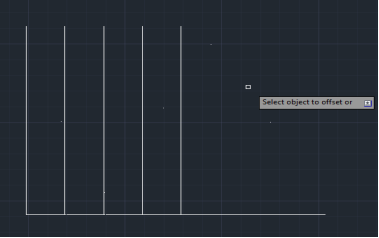 While for the other line is same step as a line 1, highlight the line key in PEDIT and select SPLINE. 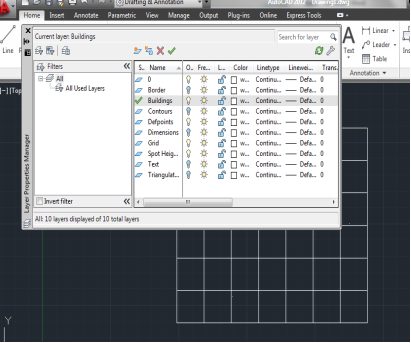 While the point that use multiples points and the lines highlight all and put it into Contour categories. While the last step is draw a rectangular , above the grids for key in the student name and matrix ID. And last is to difference categories using the difference color like diagram 8. In my conclusion, to design the 2D or 3D drawings is not a easy work by using manually. AutoCAD is in various fields, such as construction, mechanical, structural, civil, electrical and mechanical engineering and automotive applications. An architect can design creative ideal in any part of the building model of any type. For more information about AutoCAD, make complex projects simple. It combines the work of architects and engineers. From a small to a very large project, you get a precise design has great resolution. It’s one of the basic drafting software, which is prominently used everywhere. Learn the software will provide design software and drawing software in the field of solid foundation. All mechanical engineers know, the prototype can be a very expensive process. The AutoCAD by eliminating the physical material and preliminary design workshop space allows significant savings in the design process. Although the purchase and operation of a software package has some costs, which tend to be much less than the cost burden of the material and prototype shop when. As a digital simulation, AutoCAD models also allow engineers to test large-scale installations, this process will be costly physical prototypes advantage. In planning the building design and construction, architects and engineers must first consider the existing conditions of the site. In most cases, a given site is not level and must be modified before any construction can begin. Therefore, the process of cut and fill construction process is usually the first to take place at a site in one. If there is no computer software to determine the amount of land to be added or removed, we can do a simple calculation to estimate the volume of cut and fill any site. First, the site is divided into sections. Essentially, the site is “cut” into the land segment, at a specified fixed distance, so we can look at each independent. Cutout portion is based on the land, in order to accurately represent the land topography being evaluated drawn. 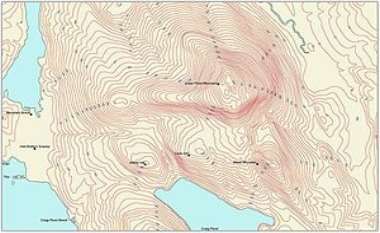 Topographic map describes the existing slope of land, and allows us to come to the site at an altitude of some of our cuts. Now, we have a two-dimensional cross-section is divided, we can estimate that the area to be cut and filled in the site. Each part of the cut to the desired land topography is expressed as “cut line” covered in the existing topography of the land line. Which brings us to two lines of each section, and tell us how many of the existing area must be removed or added. Then, the area between the lines is calculated to find the cut-and-fill each sub-region. The figure below shows the existing level lines and cutting area between the lines. From the diagram below, we can see that the start estimate how much land area must be cut off from the scene, and how much land area of the construction site must be completed field level. Now, once part of the region has been found, we must consider the site (land between the cut portion) of additional length to be able to estimate the volume of land cut or fill. Finally, after the calculated value required us to determine not only how much land must be removed from or sponsor’s website, but also where the land must be specifically taken or sponsor. Remove or add any site land is an expensive process, so that our estimates are made close to the existing conditions may be important. Once we know how much land to cut or fill and cut and fill it, work can begin normal level site and build our building. "Contours in Construction." UKEssays.com. 11 2018. All Answers Ltd. 04 2019 <https://www.ukessays.com/essays/construction/contours-in-construction.php?vref=1>. "Contours in Construction." All Answers Ltd. ukessays.com, November 2018. Web. 18 April 2019. <https://www.ukessays.com/essays/construction/contours-in-construction.php?vref=1>. UKEssays. November 2018. Contours in Construction. [online]. Available from: https://www.ukessays.com/essays/construction/contours-in-construction.php?vref=1 [Accessed 18 April 2019]. UKEssays. Contours in Construction [Internet]. November 2018. [Accessed 18 April 2019]; Available from: https://www.ukessays.com/essays/construction/contours-in-construction.php?vref=1.